Be more efficient in your workspace when you include the Simpli Home Hennessy Laundry Cabinet with Faucet and Stainless Steel Sink. The design features a high-arch faucet over the large stainless steel sink and offers a cabinet beneath for storage concealed behind two doors. 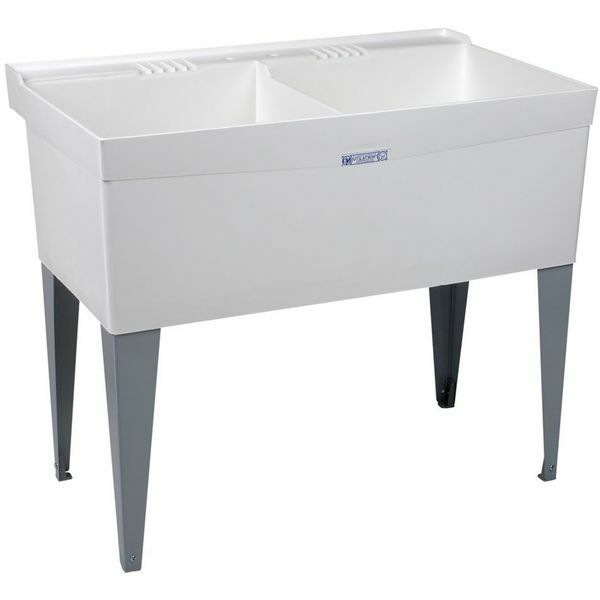 The Mustee Utilatub Floor Mounted Laundry Sink is the perfect choice of utility tub to place in the laundry room and beyond! Leakproof, the sink is crafted from a single piece of co-polypure resin and has two textured shelf areas for storing soap and cleaning accessories in between use. With the Mustee Double Bowl Laundry Tub, you’ll have plenty of space to work in on laundry day and when you need to clean up after DIY tasks. Each bowl can hold 19 gallons of water, and the sink is constructed out of wear and tear resistant white thermoplastic materials. 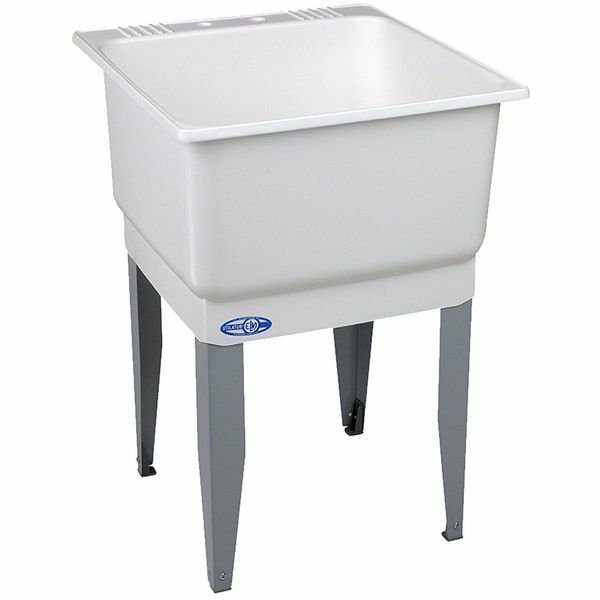 Looking for an extra large laundry tub and work sink? 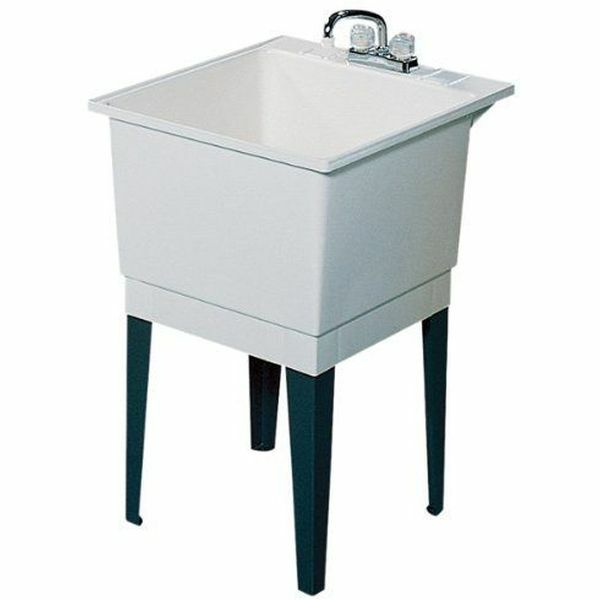 The Swanstone 22-Inch by 25-Inch Floor-Standing Single Laundry Tub is the perfect choice for your needs! 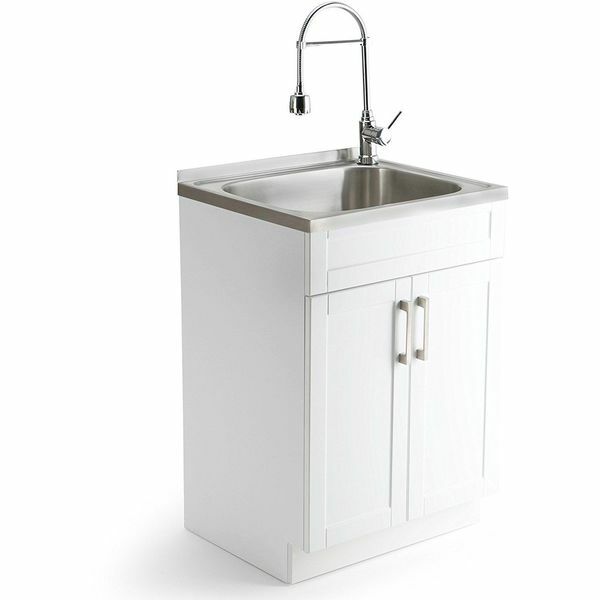 The sink can hold 22 gallons of water and is positioned on sturdy angular steel legs that keep it stable while you’re working at the fixture. Whether you’re in the market for a new sink for your restaurant or want a professional-grade work sink for your home, the ACE 1 Compartment Stainless Steel Commercial Food Preparation Sink is the perfect fixture to invest in! 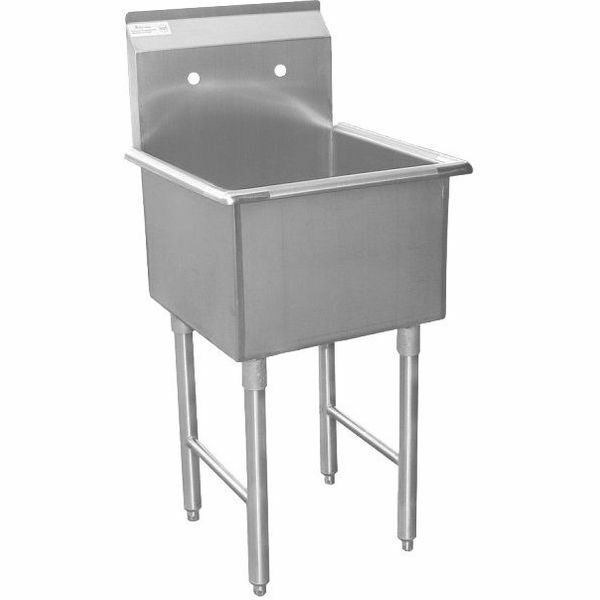 The sink is constructed out of stainless steel to comply with health regulations and features a cross-braced base that is incredibly strong. 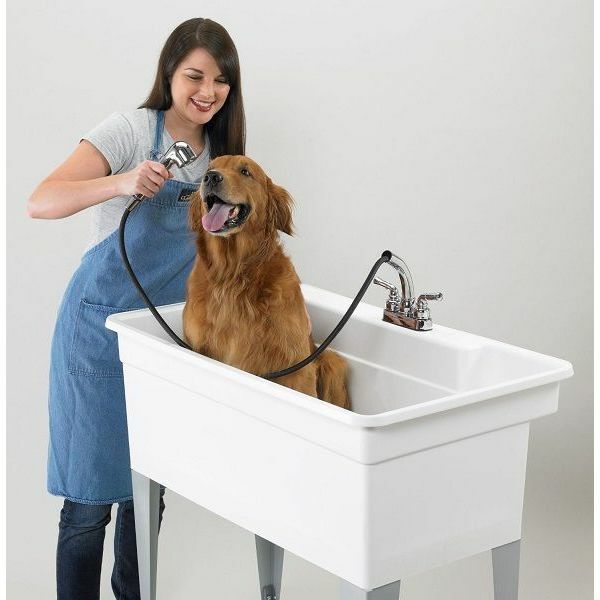 The ways that you can use the Mustee Big Tub Utilatub Combo Utility Tub are virtually endless due to its extra large 34-inch by 40-inch by 24-inch design. Made out of white polypropylene, the sink comes with a faucet, a P-trap, a drain stopper and four heavy-gauge stainless steel legs for quick setup.